With the Helios Satellite laptop PC, you can work and play at speeds like never before. With an AMD Athlon II dual-core processor and 4GB of system memory, your system will move at lightening quick speeds. Plus, Windows 7 Home Premium is there to keep you organized and ready for anything! With a sleek design, plenty of extras, and an impressive boasted speed; I was eager to give the Toshiba Helios Satellite Laptop a try. I use my computer's for so much (Work, B's School, the kids use them for their games, DH uses it to track expenses for work, DVDs & to stream television from Hulu etc.) so it tends to take a lot to impress me. But I really was thoroughly impressed with the speed of the Helios. Connected to my wireless network, the speed was considerably faster than my net book, and even slightly faster than our desktop. Another plus that was definitely appreciated is that the Toshiba Helios comes loaded with software - so theirs no need to go out and purchase tons of extras ( how annoying is it to purchase a computer with a bunch of shell or trial programs?! 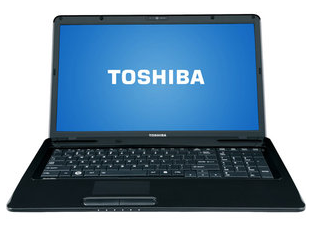 You don't have to worry about that with the Toshiba Helios!). The Helios Satellite is also like a personal media center; with the ability to watch DVDs; the picture is precise, crisp and without pause. We're also a fans of Hulu.com, and speed is essential in providing a great viewing experience of some of our favorite television programs. 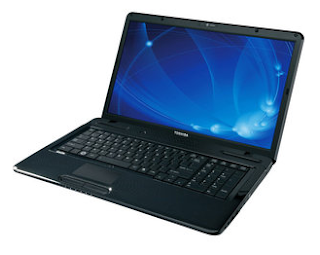 The Toshiba Helios provides just that! Really the speed is incredible! Portable entertainment coupled with the memory and speed needed to get work done fast (and well) makes the Toshiba Helios the perfect companion PC! The Helios would make an amazing WOW Holiday Gift! Perfect for, well......Everyone! Experience the difference a little speed can make! 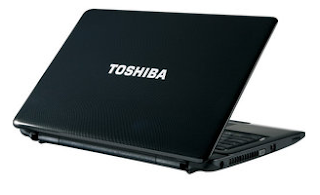 One VERY LUCKY Reader will receive a Toshiba Helios 17.3" Satellite Laptop with AMD Athlon II P320 Processor. 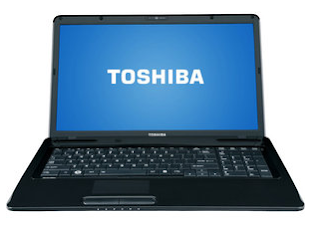 Leave a comment~ Which of the many features of the Toshiba Helios Satellite Laptop are you most excited about? The comment is considered your entry. We (my mother in law and I) would love the web cam. She just got a laptop that has a webcam and would love to Skype with us. AMD Athlon II dual-core P320 processor 2.10GHz, 1MB L2 Cache; Built-in stereo speakers with Dolby Advanced Audio; and •Genuine Microsoft Windows 7 Home Premium 64-Bit Edition. I am a public GFC follower. My favorite feature is the DVD SuperMulti drive with Labelflash technology Watch DVD movies on your computer; read and write CDs and DVDs in multiple formats. I'm most excited about the Built-in Webcam and microphone ~ makes communicating that much easier! I love the processor! My laptop is a dinosaur! So its really slow! I entered your 4 Moms Cleanwater Infant Tub Giveaway 4.. I entered your iLean® Giveaway 1. I entered your iLean® Giveaway 2. I entered your iLean® Giveaway 3. I entered your iLean® Giveaway 4. I entered your iLean® Giveaway 5. I entered your Little Tikes Endless Adventures® Easy Store™ Table Giveaway 1. I entered your Little Tikes Endless Adventures® Easy Store™ Table Giveaway 2. I entered your Little Tikes Endless Adventures® Easy Store™ Table Giveaway 4. I entered your Little Tikes Endless Adventures® Easy Store™ Table Giveaway 5. I entered your Jawbone Giveaway 1. I entered your Jawbone Giveaway 2. I entered your Jawbone Giveaway 3. I entered your Jawbone Giveaway 4. I entered your Jawbone Giveaway 5. I entered your EO® Holiday Collection Gift Set Giveaway 1. I entered your EO® Holiday Collection Gift Set Giveaway 2. I entered your EO® Holiday Collection Gift Set Giveaway 3. I entered your EO® Holiday Collection Gift Set Giveaway 4. I entered your EO® Holiday Collection Gift Set Giveaway 5. I entered your Senseo Coffee Machine Giveaway 1. I entered your Senseo Coffee Machine Giveaway 2. I entered your Senseo Coffee Machine Giveaway 3. I entered your Senseo Coffee Machine Giveaway 4. I entered your Senseo Coffee Machine Giveaway 5. I entered your Oreck ProShield Plus Air Purifier Giveaway 1. I entered your Oreck ProShield Plus Air Purifier Giveaway 2. I entered your Oreck ProShield Plus Air Purifier Giveaway 3. I entered your Oreck ProShield Plus Air Purifier Giveaway 4. I entered your Oreck ProShield Plus Air Purifier Giveaway 5. I entered your Miraclebody Jeans Giveaway 1. I entered your Miraclebody Jeans Giveaway 2. I entered your Miraclebody Jeans Giveaway 3. I entered your Miraclebody Jeans Giveaway 4. I entered your Miraclebody Jeans Giveaway 5. I'm already a public follower of your blog. Thanks for the opportunity to win this amazing Laptop! My favorite is the Built in web cam.